Ya’ll that follow me know how much I love me some ‘GOT’. That Red Wedding episode almost did. me. in! The season finished up nicely, so when I found this meme, it inspired my first random fact. 1.) 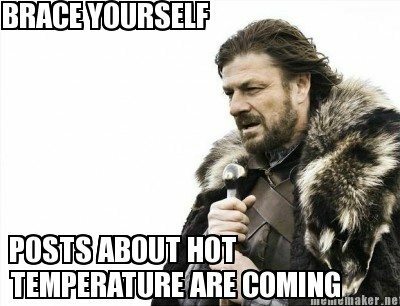 It is ridiculously hot this week! This weather is so hot, that literally, I think I could fry an egg on my head if I sat on my porch long enough! Hot diggety, DANG, Florida! This is NO time to be outside doing anything but getting wet! Shoo! 2.) Since it is so hot, I am NOT cooking anything that requires heat. It’s all cold salad for this girl right here until this heat spell snaps. Which leaves the hubs on the outs because salad or any derivative there of, is not part of any food group he’s interested in. 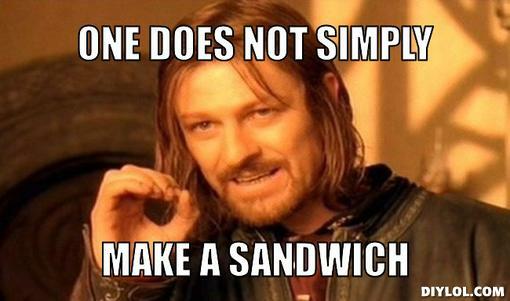 So, someone’s gonna starve, or make a sandwich! Did I say it was hot, people? It. is. 3.) My husband talked me into a BBC show marathon on Tuesday, and I surprisingly enjoyed the show! We watched the whole first season on Netflix. 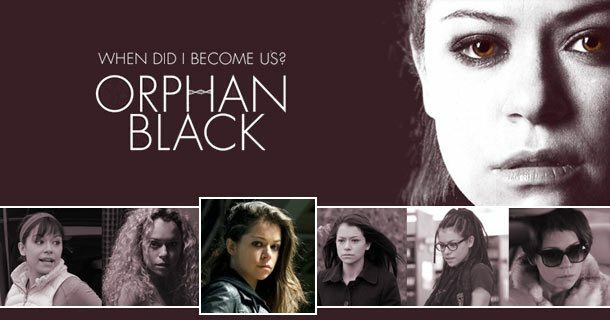 Have you ever heard of Orphan Black? 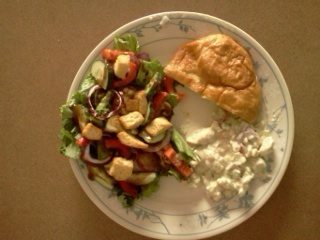 Green salad, chicken salad, and a half of a croissant! 5.) My husband is really serious about his playoff beard and I think it’s hysterical!!! He’s promised me that if they win he will go straight to the barber to go back to his usual goatee style. But, since I’m such a supportive wife, I told him that on the off chance they lose, he can have one day of bereavement before he has to go back to his regular face! Well, that’s all I have for you guys today! Previous Post: « Word Nerds: Chapter 1 What’s the Big Deal About Vocabulary Instruction?